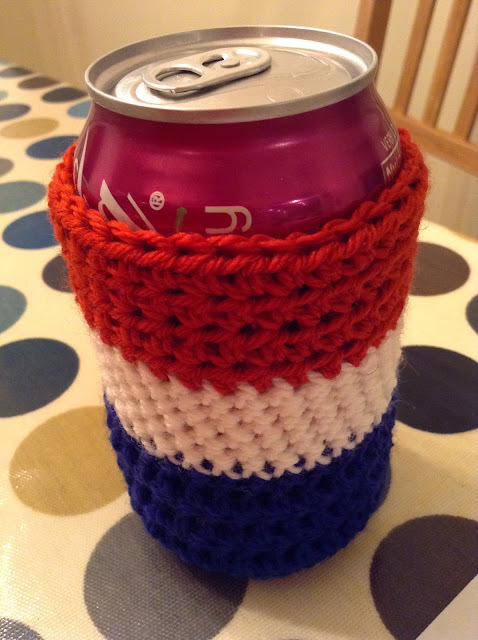 One of my friends wanted to crochet a coozie so made this one this evening. It's crochet in the round with double, single and half double crochet stitches. Amazingly it doesn't fall off but I think using cotton was a mistake last time. It's doesn't have enough "give". I like this!